SHOW UP & SHIP OUT EVENT! Limited tickets are available from the Ship & Anchor Pub (ask a bartender). For $10 you can get a bus ride to/from the bar to the screening, plus a free Steam Whistle. The bus leaves The Ship @ 6:15pm and brings you back after for the official A LITTLE BIT ZOMBIE AFTER-PARTY. Anyone not on the bus is still welcome to join the after-party. No Cover Charge. 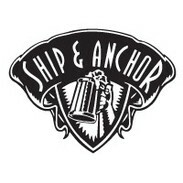 The Ship & Anchor Pub is located at 534-17 Avenue SW. Everyone is welcome. "…a lot of heart and some great comedic moments…"
"First-time director Casey Walker may very well have a cult classic on his hands"
Post apocalyptic boy chaser seeks Mr. Right. Director Casey Walker and cast in Attendance!